The fact that Martin Luther King lived during a time period of so much adversity , hate , and opposition and yet he showed so much compassion . He showed so much love . He showed so much grace and forgiveness . He used his words and spirit to influence millions of people . He inspired and paved the path for some many of today's leaders . He wasn't perfect but he had the undeniable ability to relate to others no matter their background or struggle . God works through people and will continue to work through people to show the goodness of human beings that is often times overshadowed. I constantly ask God to use me . Help me to listen and understand and show compassion . Use me . Use me . How can I use my voice , my position , my will , my strengths and my blessings to help impact the world around me . Not just on a big scale but on an every day scale . In my everyday interactions with others . How can I use myself to fight hate with love . How can we use MLK as an inspiration and a light to demonstrate the strength and power in speech , will , resilience . I have learned a lot from the hundreds of civil rights leaders that helped paved the way so I can speak up and voice my opinions with unwavering faith and not crumble out of fear . 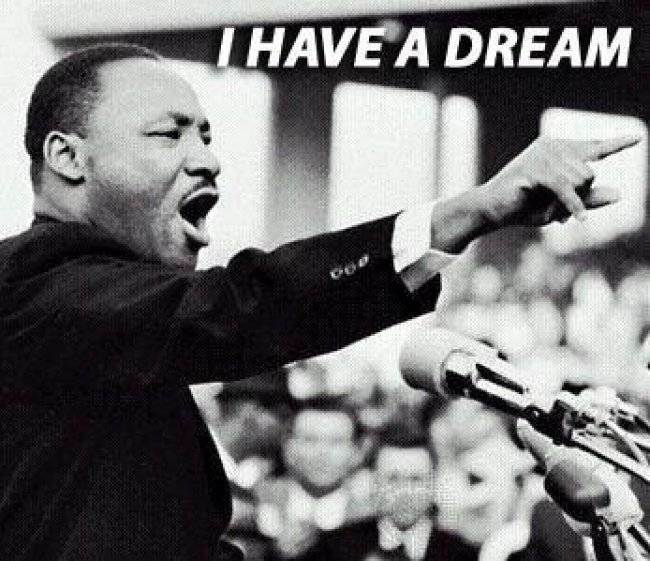 Thank you MLK. Your message of peace reigns on and there are so many people who look up to you whether you intended it to be so or not . Happy Birthday !